Commenting on the launch, Shubhodip Pal, Chief Marketing and Chief Commercial Officer, MicromaxInformatics, said "Bharat 5 like its predecessors will truly drive the next phase of smartphone adoption in the country, as a smartphone with 5000mAh battery is pivotal for a market like India where the tier 3-4 cities still face severe power outage issues." 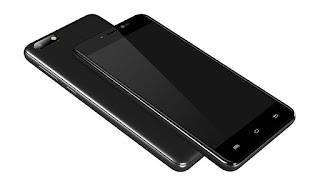 Micromax Bharat 5 price in India has been set at Rs. 5,555, and it will be made available to buy via offline stores in the country. At this price point, it competes with the recently launched Xiaomi Redmi 5A, which apart from the battery offers better specifications. As for launch offers, Micromax says any new or existing Vodafone customer can with a 1GB data pack will get an additional 10GB of data a month for 5 months - totalling up to 50GB of additional data. Micromax has put 16GB of inbuilt storage on the Bharat 5, expandable via microSD card (up to 64GB). Connectivity options include 4G VoLTE, Wi-Fi 802.11 b/g/n, Bluetooth v4.0, FM radio, 3.5mm audio jack, and Micro-USB. The Micromax Bharat 5 has a 5000mAh battery, which the company claims is rated to deliver up to 2 days of battery life, and a standby time of up to 3 weeks.